I got a nomination for Liebster Award from Ioana of Music Teacher Lifestyle last week and this week, from Shamilah of Normalcy Is Overrated and Tanya of Winnipeg Arts, Hearts and Smarts. That’s like nomination x3. Really. I’m honoured. Thank you so much, Ioana, Shamilah & Tanya. – Share the award on your blog. – Answer the 10 questions asked to you. – Ask 10 questions to 10 new nominees (who have less than 300 followers). I’ve combined the questions asked by all the three here. 1. If you had the awesome opportunity to live anywhere else than where you are now, where would you want to live and why? I would love to live at any place where I could get fresh air, clean water and peace of mind for the next one hundred years. 2. What kind of music do you like to listen to – your favourite singer/composer? All kinds. It depends on the mood. Favourite composers are Oscar Winner A.R.Rahman, his guru Ilayaraja (just completed composing music for his 1000th feature film) and Hans Zimmer. 3. What is your favourite blog to read? There are lots of them. But the one that I frequent is Zenhabits by Leo Babuta. 4. What’s your favourite activity on a weekend? Kicking back at home spending time with the family. I haven’t read too many books. But out of the few that I read, the book that kept me engaged and the one that I enjoyed reading the most is the trilogy of Shiva – The Immortals of Meluha, The Secret of the Nagas and The Oath of the Vayuputras by Amish Tripathi. 6. Why did you decide to blog? Just for kicks, to be honest. There was no agenda. One of my friends started blogging and I thought it would be an interesting hobby to have. There are so many. If I have to decide based on the number of times I have watched, it has to be Real Steel, Kung fu Panda, The Dark Knight and all Bond movies. Shutter Island & Blood Diamonds are my favourites too. And.. I said there many, didn’t I? 8. If you could give only one wise advice to a 15 year-old, what would it be? There is this old saying in Tamil – “If you find fault in others, there will be no one around you”. People are always more important than anything else. 9. Who is your best friend and what are his/her biggest qualities? My best friend is not on the blogosphere. The best quality about him is that he is a down-to-earth guy and we are on the same wavelength. So much so that often times he can expect my response to his statement and come up with counter statements before I could respond. It’s like the banter between George Clooney and Brad Pitt in Ocean’s eleven. Dubbed in Tamil. It’s fun. 10. How long did it take you to finish this post? 11. Who is your favourite author? I like mythological fictions. As stated in #5 above, Amish Tripathi is my current favourite. 12. How did you decide your blog name? When I started blogging initially, I named it ‘Casual Cognition’ for I thought I would write about things that I learnt casually through everyday incidents. When I enrolled for Blogging101 course, one of the first tasks was to revisit the blog title. I read again what I had written over the years and they were Pointless. I wanted the second word to start with ‘P’ and I thought Prosaic went well with the theme. Thus the title of my blog. It’s not the best, but I’m okay with that. 13. Who is your biggest blog fan? I have a small set of friends who read my every blog and provide feedback. Rumour has it that I, in fact, pay them to be my fan. I don’t. I just force them. 14. What is your best piece of advice to anyone considering blogging? I am not fit for advising yet. But one thing that I learnt last few weeks is that blogging is not about content alone but about the community. Show interest in other’s blogs and they will be interested in yours. 15. What is your goal for your blog in 2016? Improve on quality and quantity. 16. If you could travel anywhere, where would you travel? I would travel everywhere. First on the list is Alaska. 17. For you, does blogging replace or enhance journaling? I don’t know. I think my blog is not related to journaling. 18. What is your must-have while blogging? Glass of wine? Snackage? Helpful cats sitting on your keyboard? Music? All of the above? A headphone playing The Interstellar theme music in loop. Otherwise, I am not particular about the environment. I am okay with distractions because I am not posting on any particular schedule. 19. Have you ever attended a blogger’s meet-up in person? What was it like? 20. Do you always blog in the same physical location? 21. What is your most creative time of day/night for blogging? 22. Are you active on any other social media platforms? Yeah. All the usual suspects – Facebook, Twitter, Google+ and LinkedIn. Not on Instagram and Pinterest though. I have not linked my blog to social networking sites. 23. Do you have plans for monetizing your blog? No plans at the moment. But it would be nice if I could indirectly, like landing a freelance writing gig because of this blog. 24. What is your all-time favourite post and why? Mathematics in Mythology. I had to do a little bit of research about what is said in the ancient Hindu scriptures. I feel that we have lot more to learn from the scriptures but are ignoring them. I have no one in particular. Blogging is not a talent that people are born with. The more you write, the more you get better. So in my opinion everyone should start a blog. 26. What is your reaction to the nomination? With first nomination, I was happy that someone thought my blog is worthy. Now with three nominations, I am happier that more people like my blog. 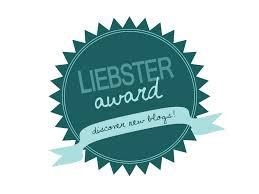 I would like nominate the following blogs for Liebster award. If you accept the nomination, please answer any 10 of the above set of questions. Cheers! Loved getting to know you better! And thank you for the nomination!!! Congratulations Sada. I have been a silent watcher of your blog space. Your blogs are an inspiration for me to get back to my long forgotten hobby… Hope to get back on track some day..
Hello Sadagopan, you have a nice blog. I have found yours from ‘ Music Teacher Lifestyle’.My blog is also nominated for this award. Pleased to find you here. Have a great day. Thank you Sayanti. You have a good blog as well. Subscribed. Great. May God be with you. All the best. I do hope u r following ENVIUS THOUGHTS which has its 459th post today the 423rd day.. Thanks.